Before you can use the EZ-Key you have to pair it to your computer, laptop, tablet or phone. It's pretty easy to do this because EZ-Key acts just like a Bluetooth keyboard. We have also paired it without difficulty to iOS devices such as iPhone and iPad (any version) and an Android tablet but don't have a detailed walkthrough. Check your device's documentation on how to pair a keyboard. It's usually really easy and just requires turning on BT and then scanning for the powered up module. You only have to pair once to your device. After that, it will auto-connect. If you ever have difficulties with auto-connecting, especially if you do a system update or upgrade, just follow the pairing procedure from the beginning. It only takes a few minutes. The following GIF shows meaning of the red LED on board. This page will show you how to pair your Bluefruit EZ-Key to a Linux computer. It's tested on Raspberry Pi & Raspbian but the instructions will be similar for other machines and distros (we hope!) Check your distro documentation if this doesn't work. Thanks to http://www.correlatedcontent.com/blog/bluetooth-keyboard-on-the-raspberry-pi/ for the details! With the Raspberry Pi off, plug in the BT module and reboot. Make sure you have Internet connectivity on your Pi so you can install the following updates & software for Bluetooth control. All of the following must be typed into a Terminal window or Console or Command line. You should see a 1 after the last command. If you get a 0 try again, check that you typed the #'s right. Now you will notice the red LED on the module blink slower. REMEMBER! 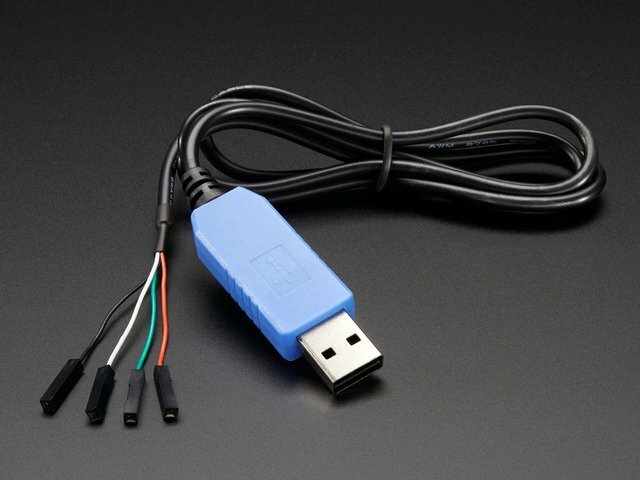 This is a USB keyboard so if you are SSH'd or connecting via a Console cable, you WON'T see keystrokes appear. On a Raspberry Pi you have to connect a TV to the Composite or HDMI outputs to see the keyboard input. The user manual is the shortest page of this guide, because its really really easy to get going. 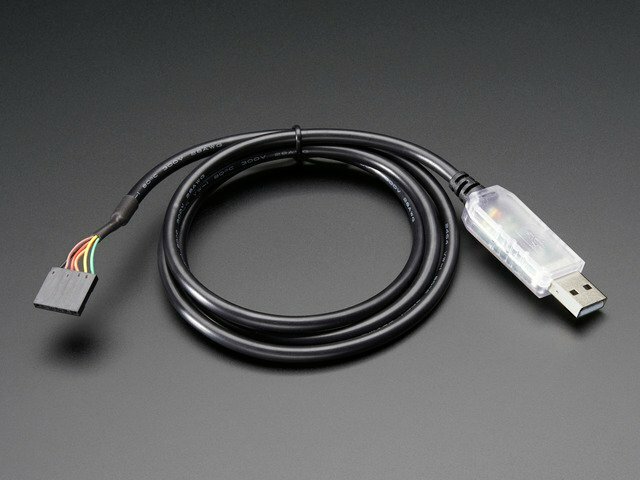 Power the EZ-Key with 3-16VDC power. Batteries work great: 3 or 4 alkaline or rechargeable 1.5V, a 9V, Lithium Ion/Polymer, Lead acid... Whatever you have! Connect one side of a switch to GPIO #0 through #11. Connect the other side to Ground. You will be able to see the green LED blink every time it detects a switch and sends the keycode. When a switch is pressed, a KEYDOWN command is sent, when it is release, a matching KEYUP goes out. You can have up to 6 switches pressed at once and it will be like they were pressed all at the same time. 6 is a strict limit of Bluetooth. You can customize these with a little bit of effort, see the Remapping Buttons page. For advanced users, you may want to hook up your Bluefruit to a microcontroller and send characters or strings via Bluetooth. You can do this with the UART port on the EZ-Key. The UART pins are labeled RX (data going into the module) and TX (debug data coming out of the module). You can get away with just connecting to RX. The RX pin is 5V compliant, you can send it 3V or 5V TTL logic levels. Use 9600 baud serial, all microcontrollers will support this. You can also send raw HID Keyboard reports for complex key-stroke combinations and controls. Don't forget to also tie a ground pin from your microcontroller to the EZ-Key for the logic ground reference! Thanks to Wikipedia for this nice chart! There's a lot of other keycodes you may want to send, here is the mapping from the 8-bit byte to the keycode sent. Bluefruit can send raw HID Keyboard reports. This allows sending any modifier keys + up to 6 keycodes at once. Its advanced but super useful for when you want to have fine-control of keypresses! 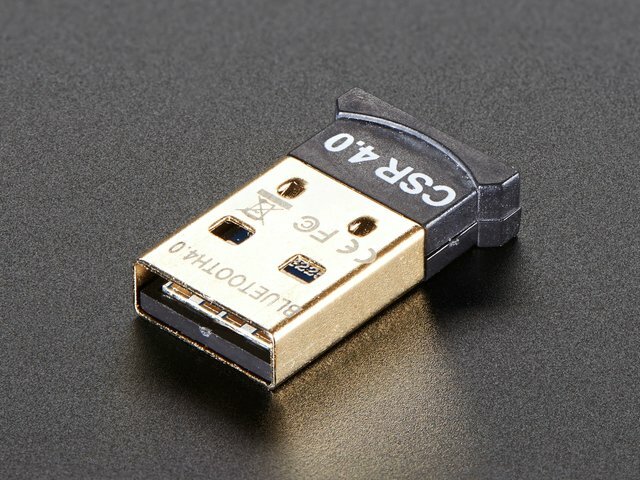 Raw USB HID keycodes are not the same as ASCII! Here's a list of USB HID keycodes (its in java format but you get the idea), you can also get another list here http://www.freebsddiary.org/APC/usb_hid_usages.php under "7 Keyboard"
// Only the key codes for common keys are defined here. See Hut1_12.pdf for a full list. for keycodes 4 and 5 at the same time. You can send up to 6 consecutive keys at once, don't forget to send the release 'key up' command or the key will be 'stuck'! up/down/left/right are again, relative movements. You can move up to +127 up/left to -127 down/right units at a time. As of v1.2, Bluefruit can send raw HID consumer reports. There are "Home", "KeyboardLayout", "Search", "Snapshot", "VolumeUp", "VolumeDown", "Play/Pause", "Fast Forward", "Rewind","Scan Next Track", "Scan Previous Track", "Random Play","Stop" keys you can use with a 2 bytes bitmask. We use this code to generate/test the various UART-sendable characters, you can use it for reference to control via an Arduino or other microcontroller. Remember that some of these non-printing characters can really confuse your computer so use with care! // to test the non-printing characters!